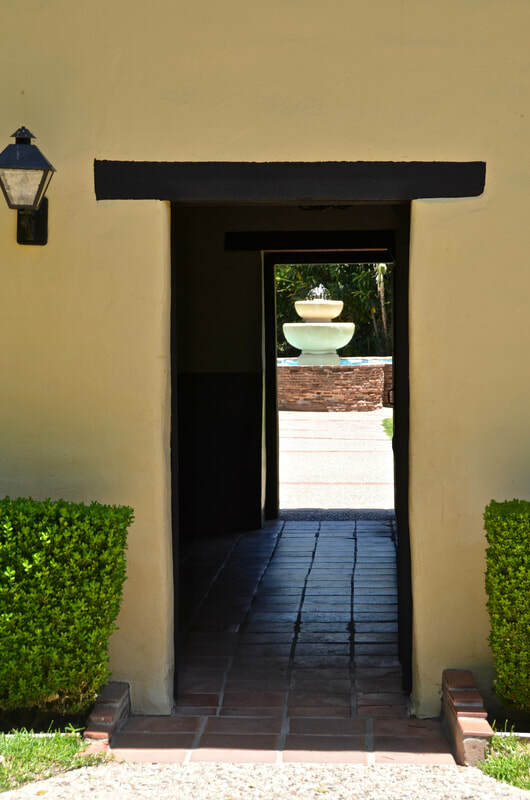 The architecture is that of an old Spanish mission, but the buildings are not as old as they seem. 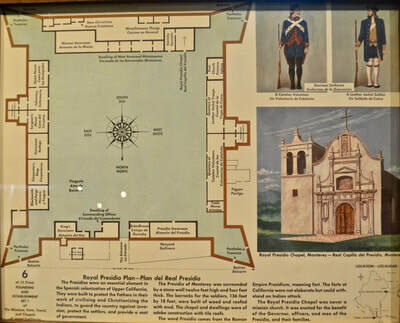 Mission San Fernando Rey de España, on the north end of Los Angeles county, lets you see what other California missions probably looked liked when they were relatively new. 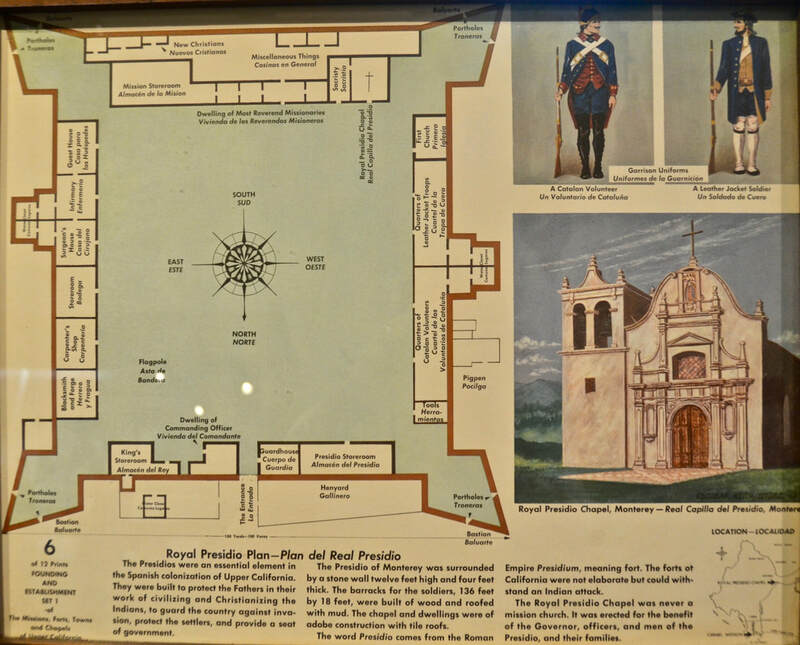 And that's because although this mission was established on Sept 8, 1797, it has been mostly rebuilt over the years, including the church which was totally rebuilt -as a replica of the 1806 original - in 1974! 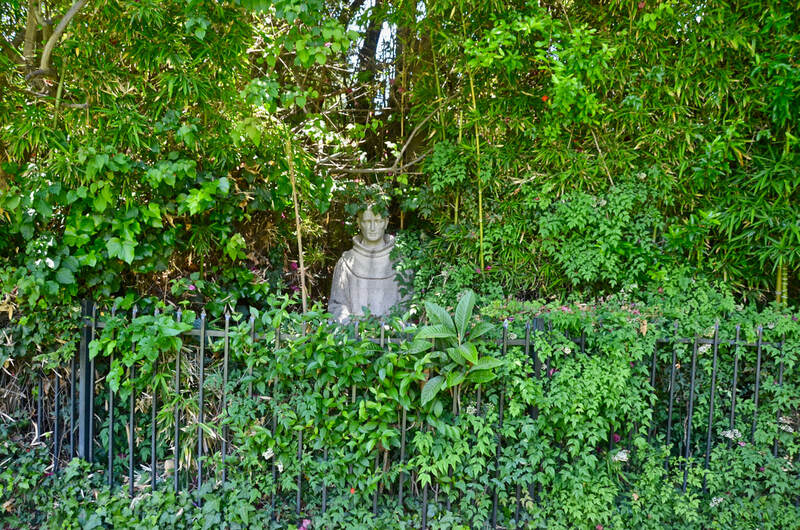 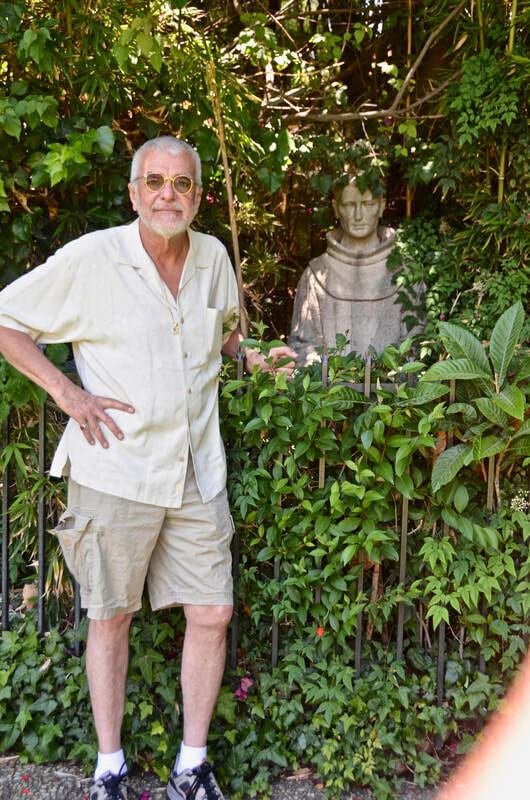 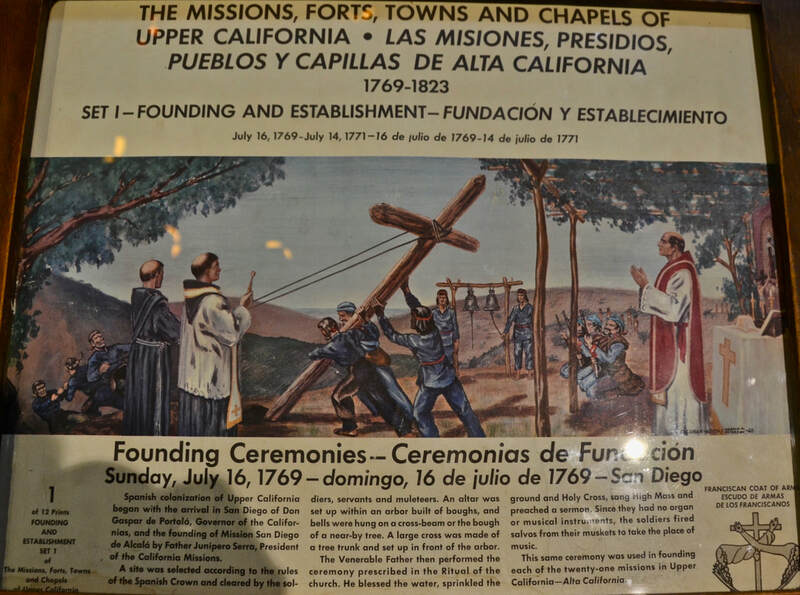 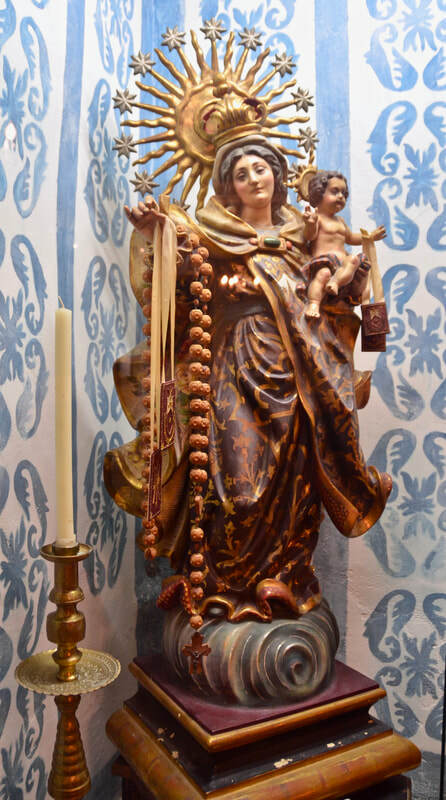 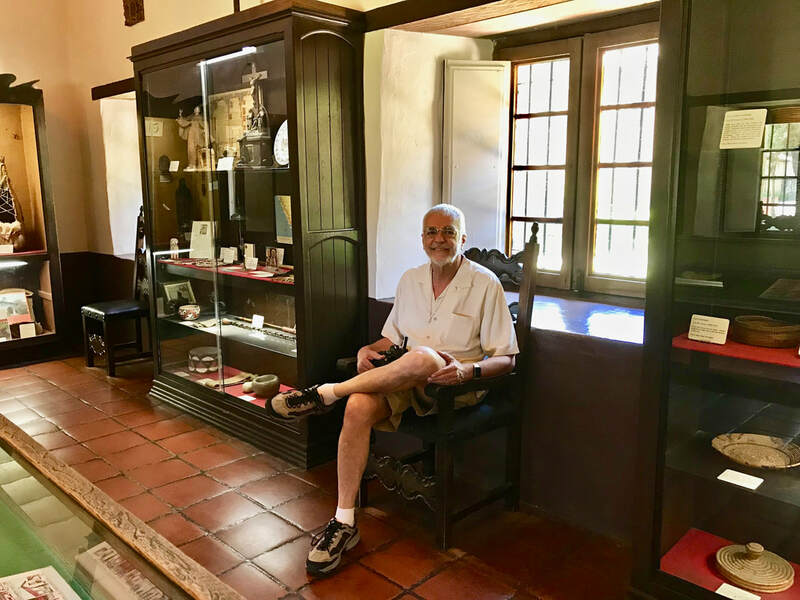 Some historia: Everything changed for San Fernando and all California missions when they were secularized in 1834, with the Mexican government often selling the mission lands and allowing settlers to plunder many mission relics. 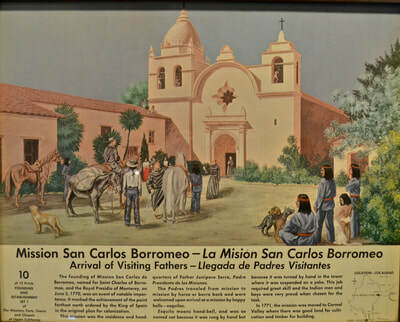 By the time the missions were returned to the Catholic Church in 1861, many were devastated, including San Fernando. 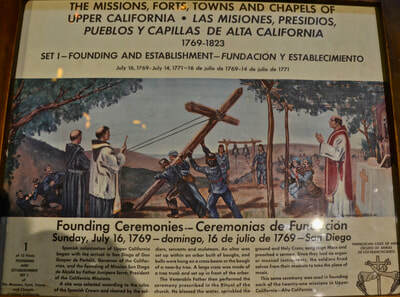 But in San Fernando, gold particles had been discovered in 1842, marking the earliest gold strike in California. And although the gold particles (clinging to the roots of wild onion bulbs) stopped showing up after four years, treasure seekers kept digging up the mission's adobe walls in search of gold they thought had been hidden by the padres. 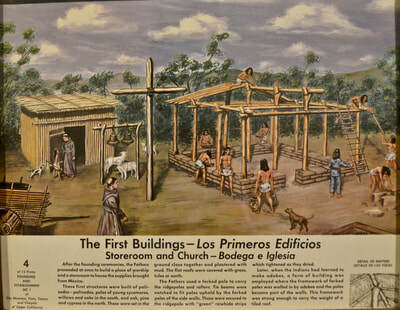 San Fernando was looted and used as used as a stage coach station, a warehouse and even a hog farm. 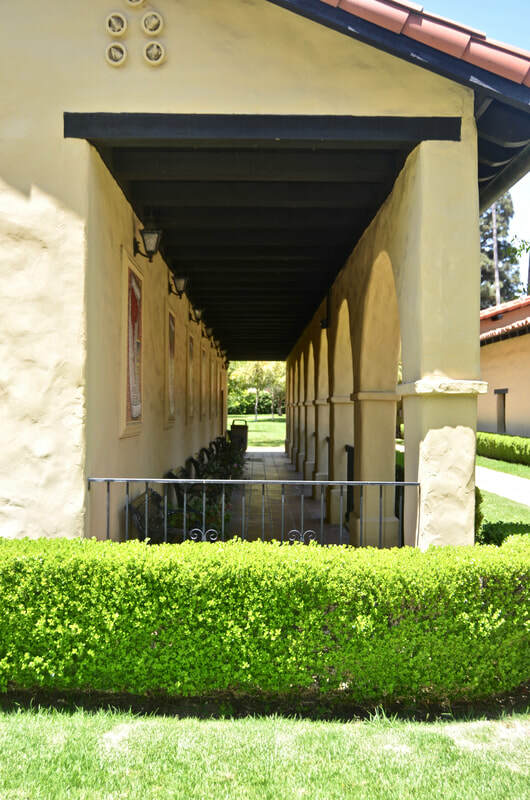 Its buildings were nearly disintegrating until they were rebuilt in the 1940s. 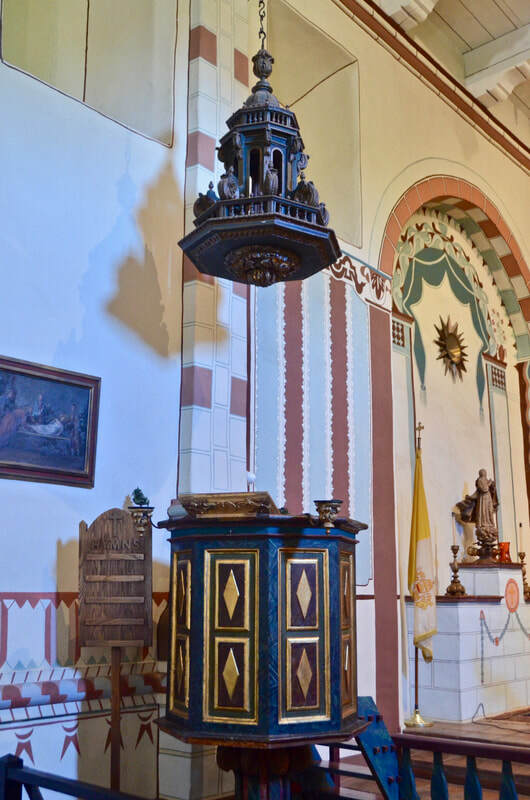 And its church had to be rebuilt again after it was destroyed by an earthquake in 1971. 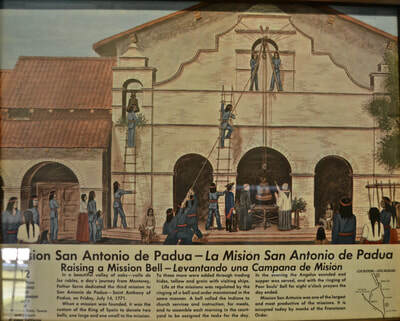 Only the mission's original convento (main building), completed in 1822, remains, repaired but standing. 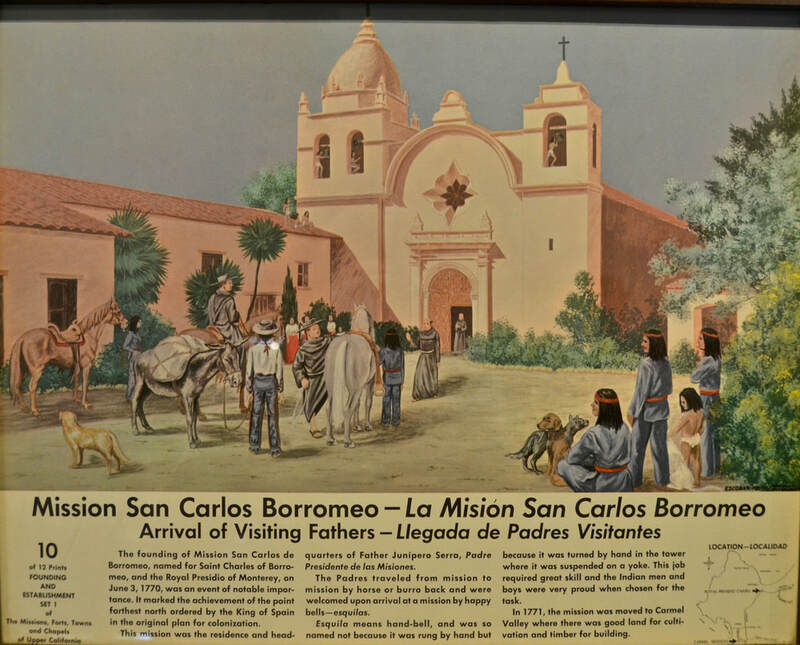 The convento, built with adobe bricks by the Tongva natives of the region, took 13 years to build, becoming the largest two-story adobe mission building in California. 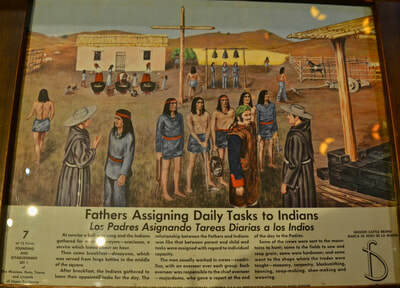 It served as the missionaries' quarters and as the guest house for mission visitors. 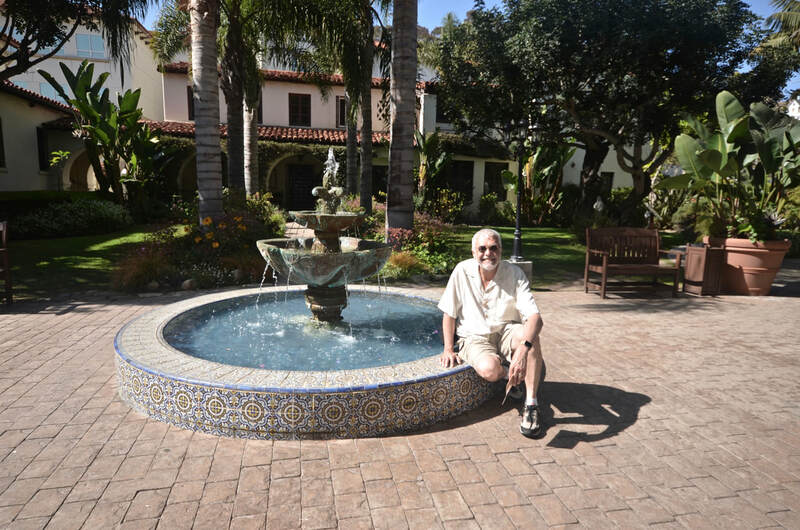 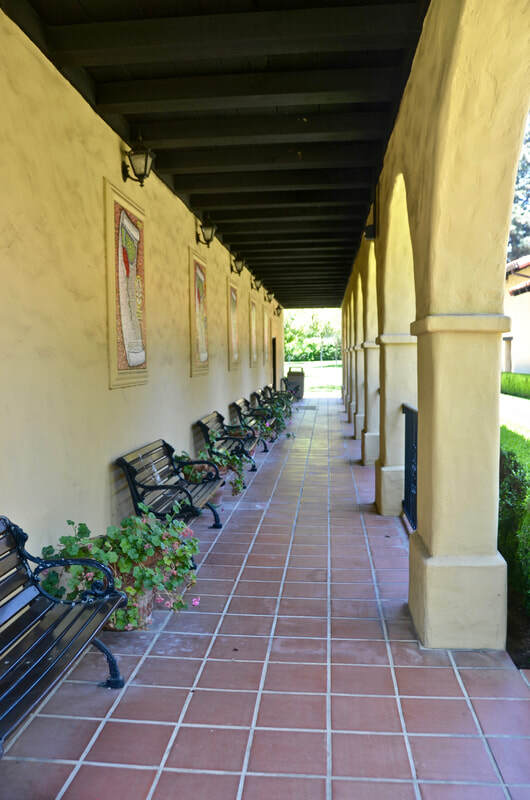 This is California's 17th Spanish mission, named after Ferdinand III King of Castile (1217-1252). 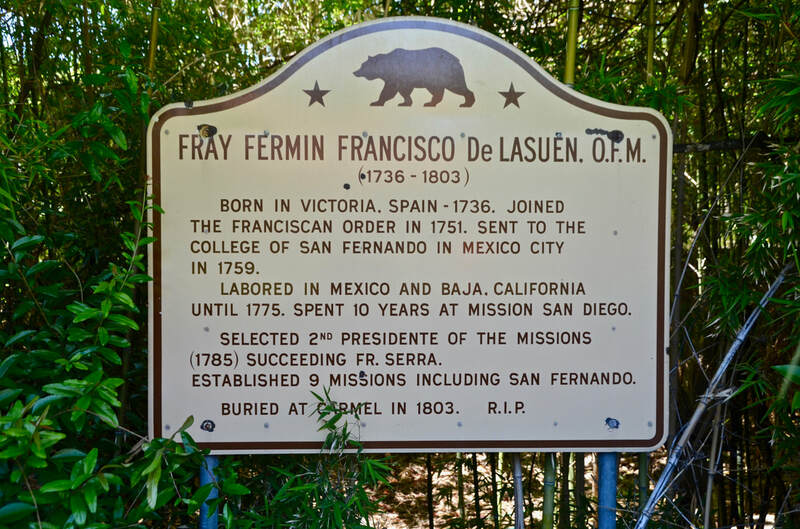 It was established by Franciscan missionary Father Fermín Francisco de Lasuén, who replaced Father Junípero Serra as president of the California missions in 1785, after Serra died in 1784. 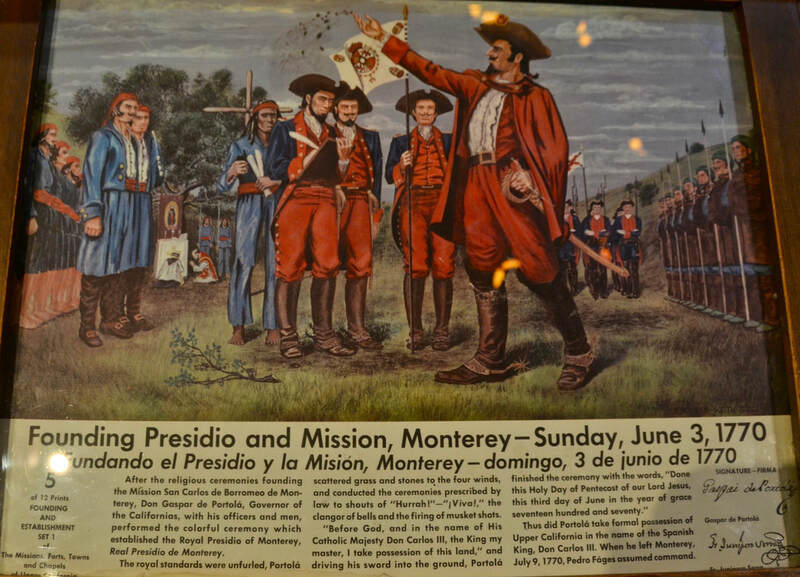 It was also the fourth mission established by de Lasuén in as many months. 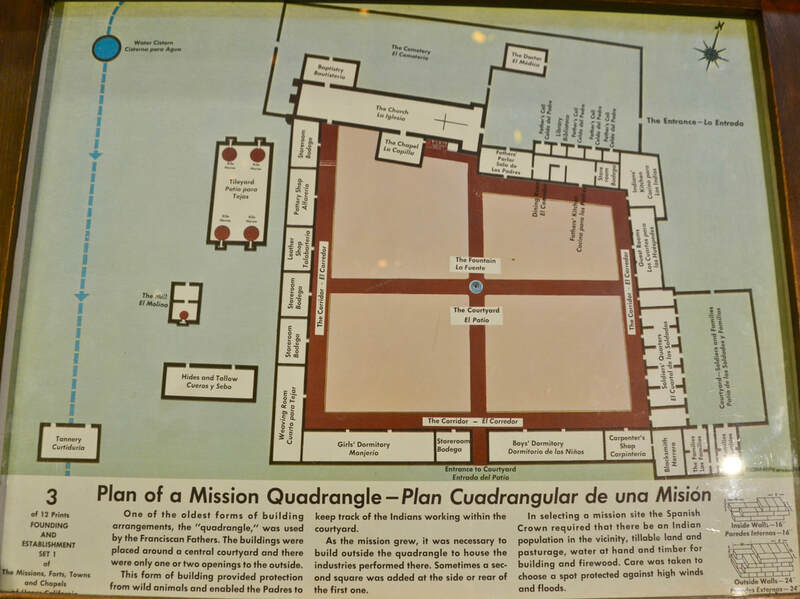 As with other missions, while the credit for the establishment of each mission went to the president, other missionaries were left in charge of running each mission. 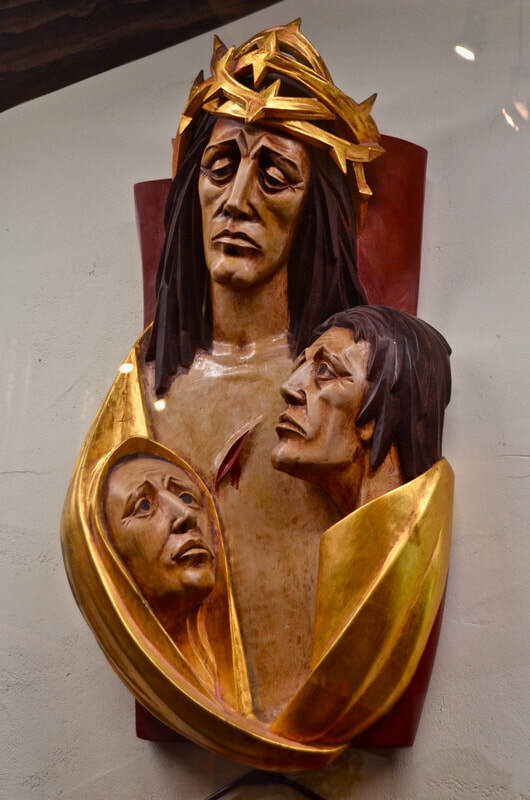 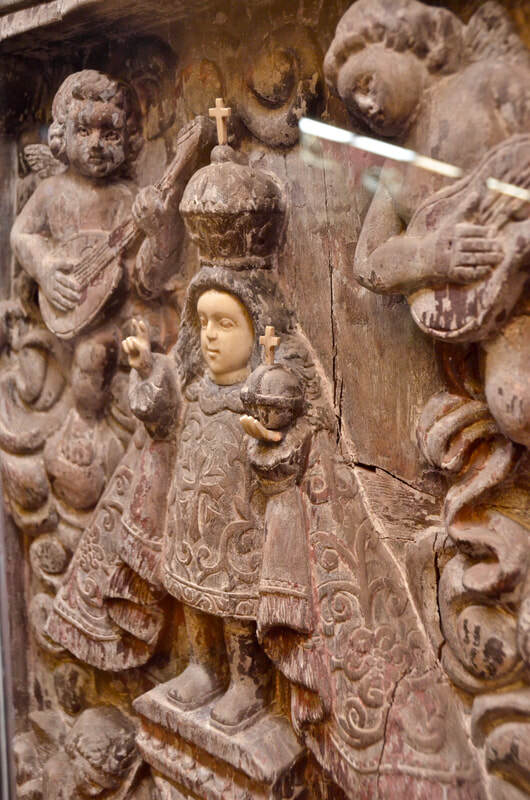 At San Fernando, it was Frays Francisco Dumetz and Francisco Javier Uría who took over the cause of converting the native people to Christianity, colonizing the area and to consolidating Spanish power. 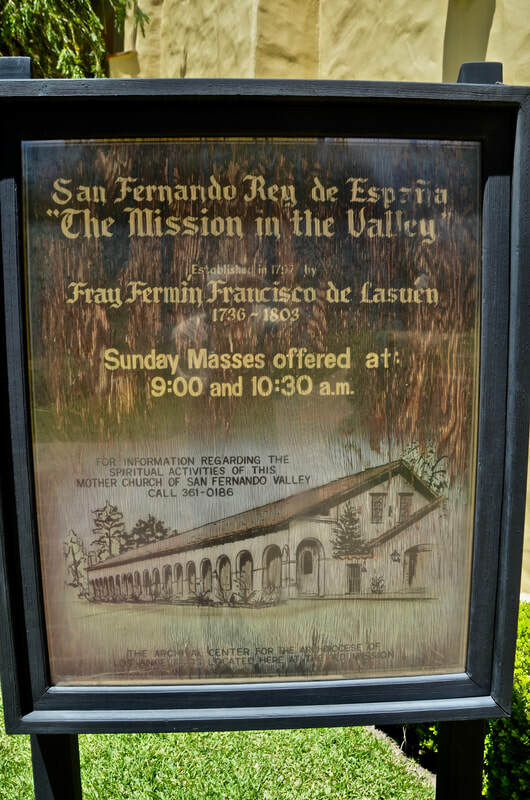 Upon the mission's dedication, 10 children baptisms were recorded on the first day and 13 adults were baptized by early October, including two who were married! 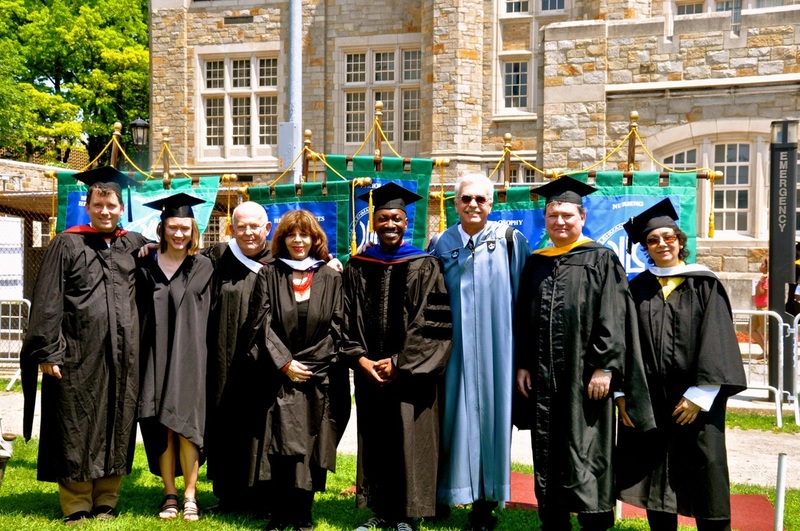 By the end of that year, the mission recorded 55 neophytes. 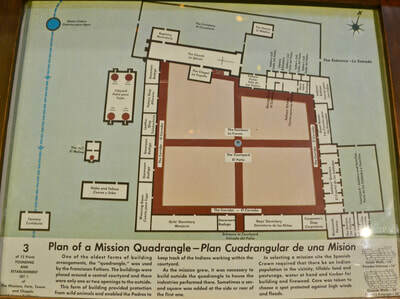 But like in other missions the neophytes were given the name of the mission. 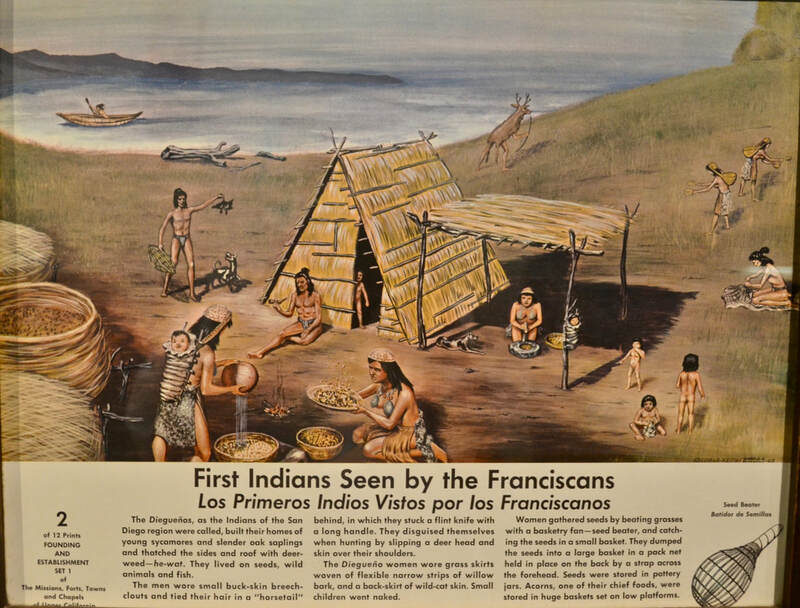 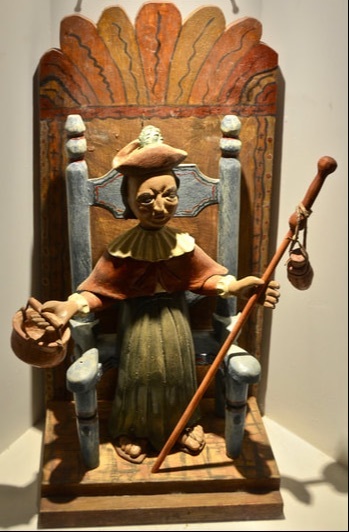 And so the Native Americans who became neophytes at San Fernando were called Fernandinos. By 1800, there were 310 Fernandinos, with 352 baptisms, and 70 deaths recorded at the mission. 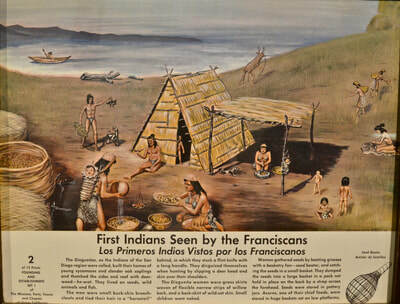 One decade later, the Fernandino population had increased from 310 to 955. 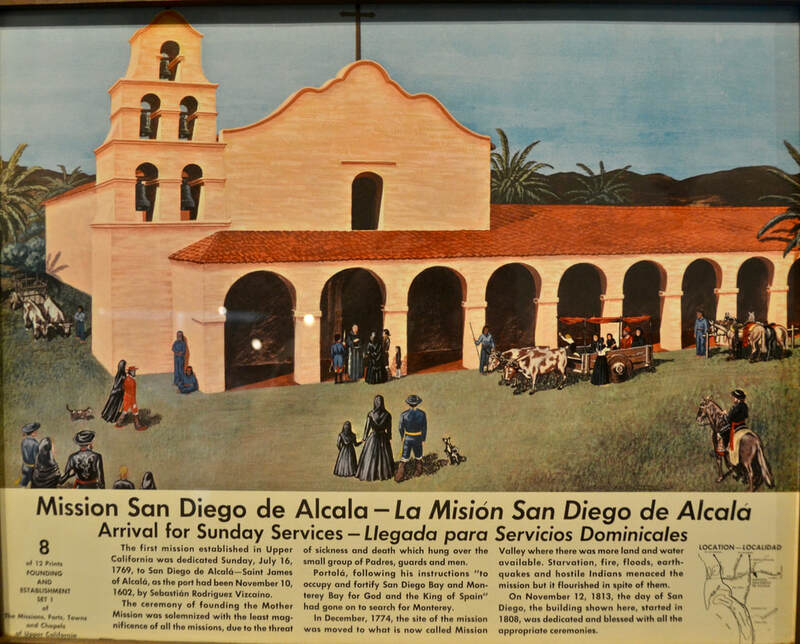 To the padres who labored so hard at these missions, these baptism numbers were considered huge accomplishments. 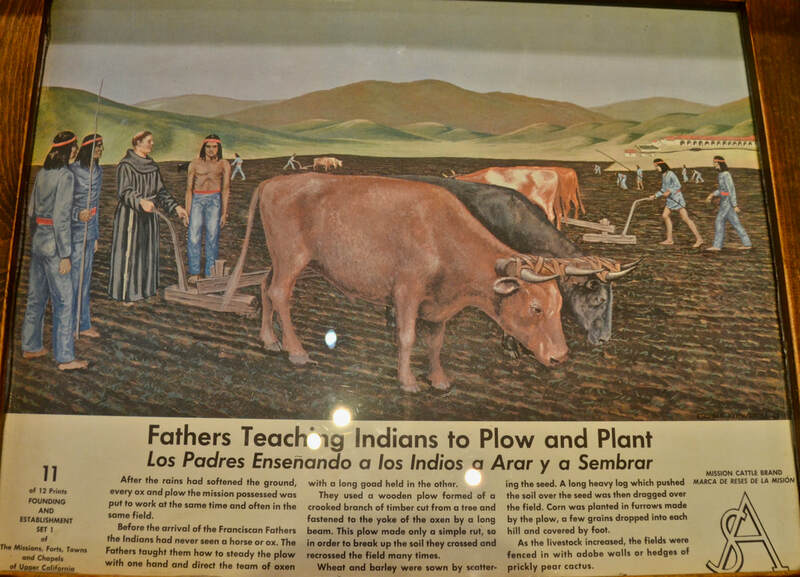 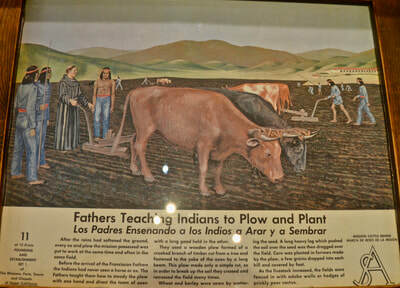 But so was the mission's agricultural production: Between 1798 and 1832, they harvested over 156,000 bushels of wheat, barley, corn, beans, peas, garbanzos (chickpeas) and habas (broad beans). 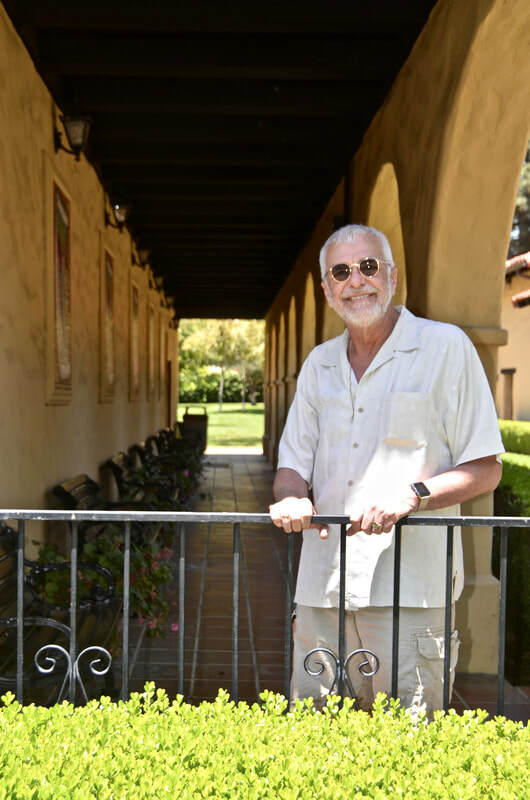 According the California Missions Resource Center, their "last inventory recorded 32,000 grapevines and over 1,000 fruit trees." 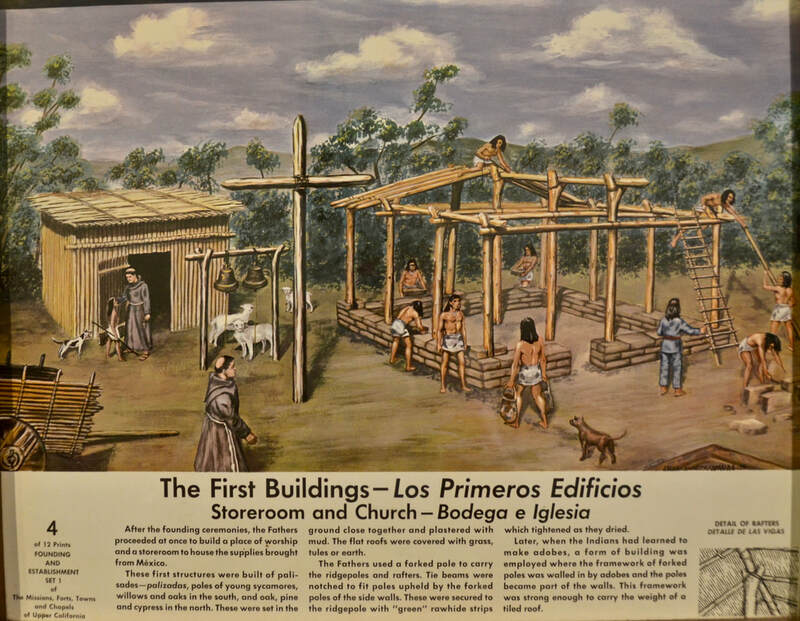 On its website, the Center also notes that, "In its peak year, in 1819, San Fernando had 12,800 head of cattle, which were a major source of food and revenue. The mission also had a large number of sheep, (an average of 5,000 in its peak years)." 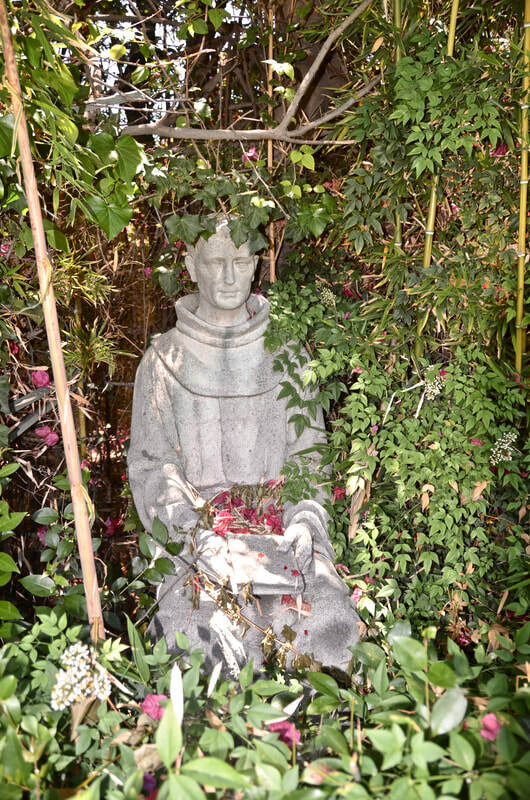 ​Situated on the Mission Hills district of Los Angeles County, Mission San Fernando is the namesake of the nearby City of San Fernando and the San Fernando Valley. 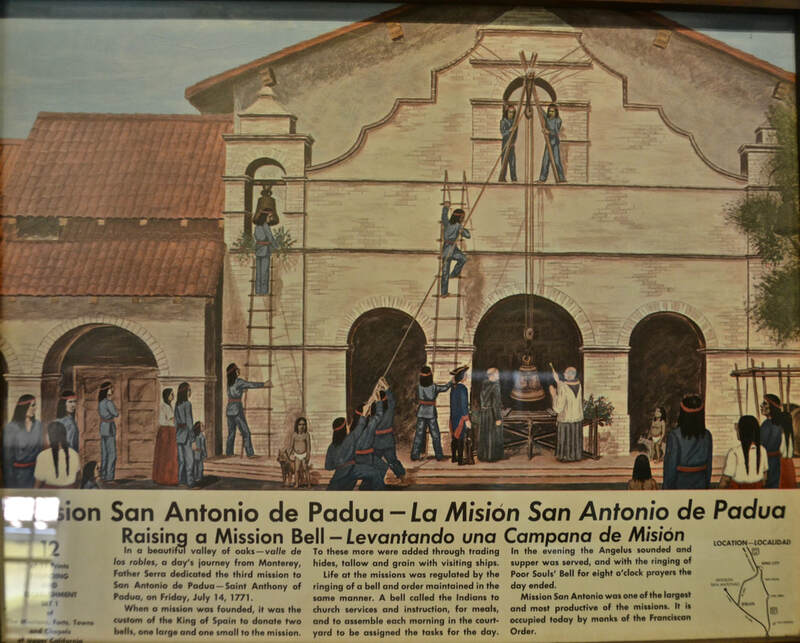 Today, the convento remains as the only original building at this mission. 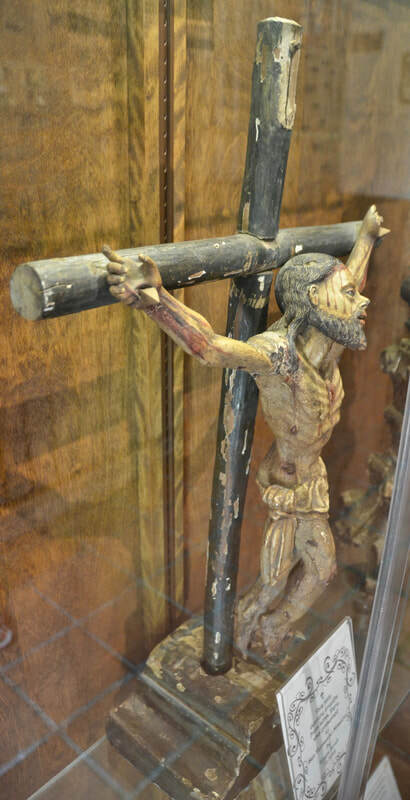 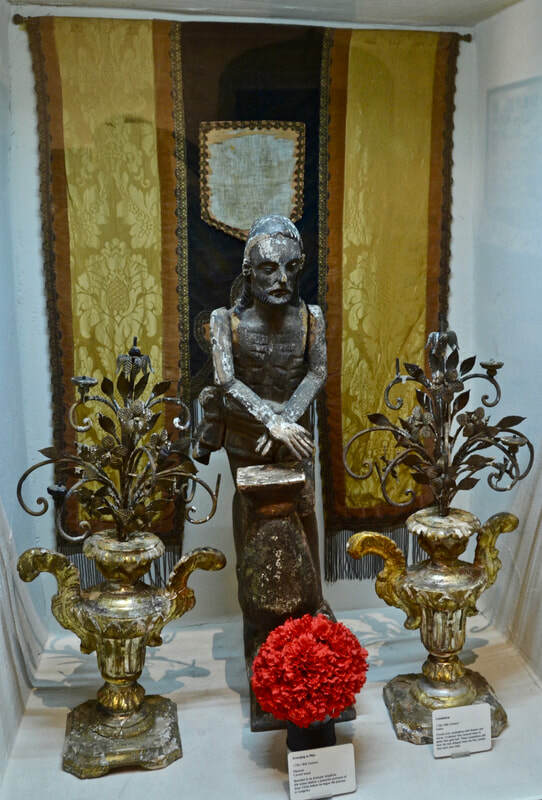 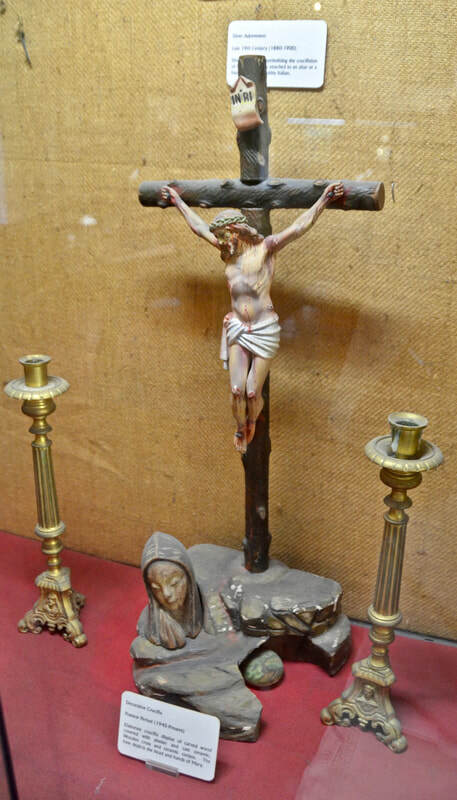 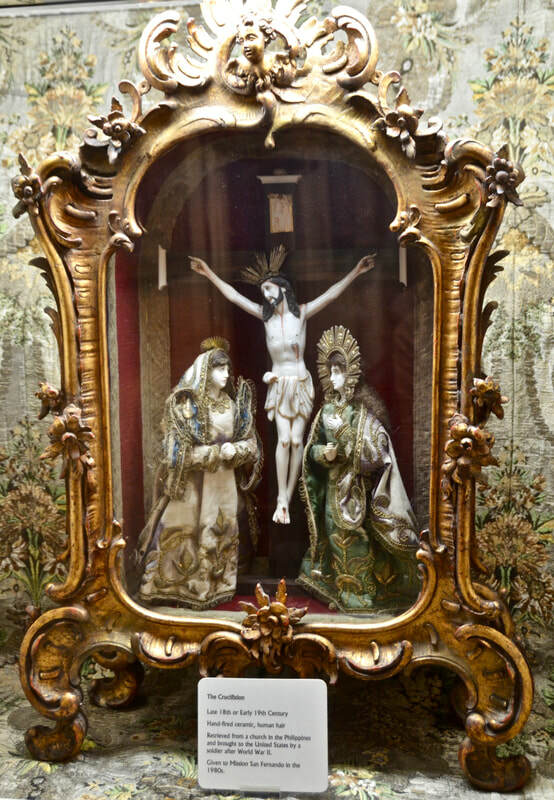 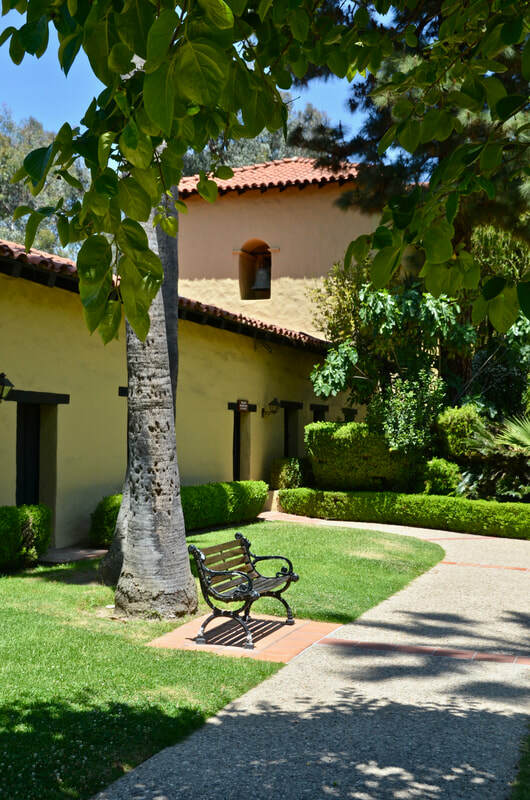 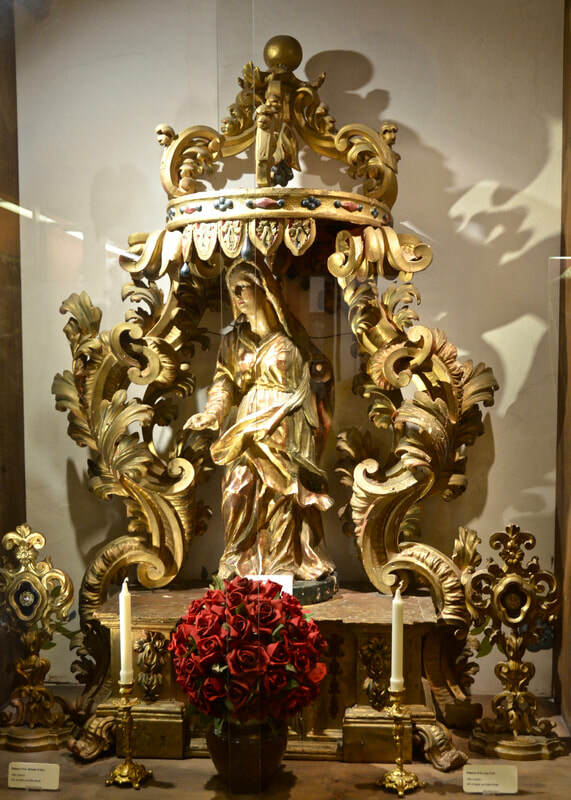 It serves as a museum and as the Archival Center for the Archdiocese of Los Angeles. 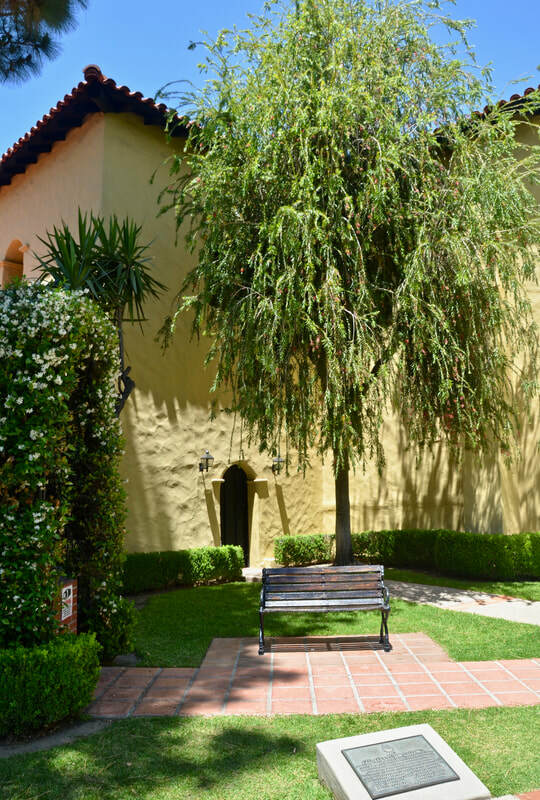 The mission church is an active Roman Catholic Church of the Archdiocese of Los Angeles. 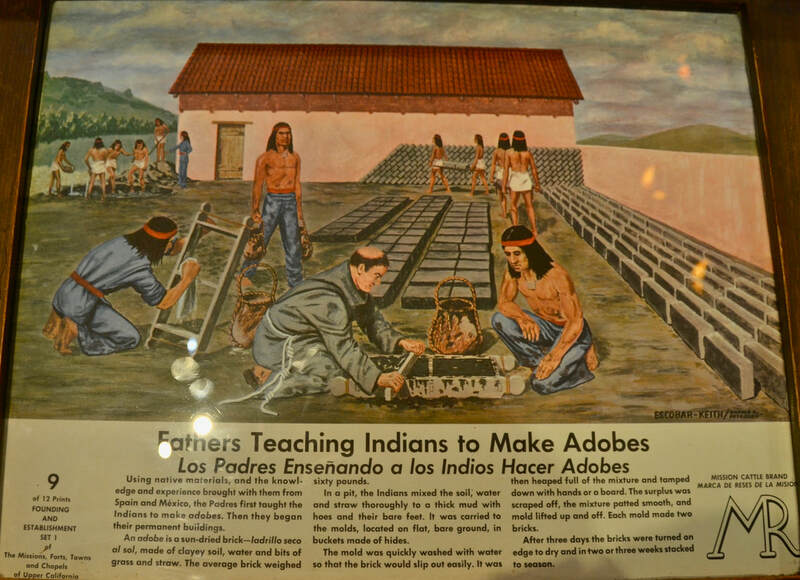 To enlarge the images below, click on them!